There are many different types of atomizers and vape coils that help to optimize the vaping experience. An atomizer is a device that creates vapor from a liquid, and most recently this term has become associated with vaping. It may sound complicated, but it’s simply a heating coil that is made using a resistance wire that is heated up to create the vapor from an e-liquid. Atomizers are also referred to as vape coils and are available in different styles ranging from do-it-yourself- builds to disposable coil heads. Atomizers are made from different materials depending on the purpose. Many of those you will get for vaping are made using materials like ceramic, and there are those made from ekowool or stainless steel mesh. To find out which atomizer suits you, you could take a look at the different categories of these products. In this category, you will get a complete set of the atomizer plus the vape coil, so you don’t need to build anything yourself. Building vape coils are not that challenging, but this is not always a requirement because you can get an atomizer that is made with everything you need. Atomizers that come with pre-made coils are referred to as coil heads and are designed to work with your particular device. You can use such an atomizer for an entire week with no problems. Atomizers are rated at different resistance levels, and there is an allocated wattage range. Sometimes the tank will come with a wide range of coil heads compatibility, which makes it more confusing to re-order. When looking for the best dry herb atomizer for mods, it’s important to consider the different features you would get from the atomizer. For example, some atomizers come designed with temperature control mode while you will also find those that are made for low-wattage vaping. Lower resistance coils need more power. Hence, if you would like to vape at low wattages, it would be ideal to look for a vape coil that offers a high resistance. The other category of atomizers that you need to look at includes rebuildable atomizers. These require your effort to rebuild the vape coils before using them. It could appear a little tricky and is not suited for beginners. But once you get used to a rebuildable vape coil, you will enjoy endless possibilities. It’s possible to create a coil that is perfectly suited to your specifications. Building the vape coils gives you another advantage because you can re-wick them. This process involves taking some cotton or any wicking material then replacing it with a fresh piece once the one present becomes unreliable. It’s also easy to clean your coils to ensure no tastes are retained that would ruin your vaping experience. RDA is a class of atomizers that are easy to build with vape coils that you can choose for your vaporizer. 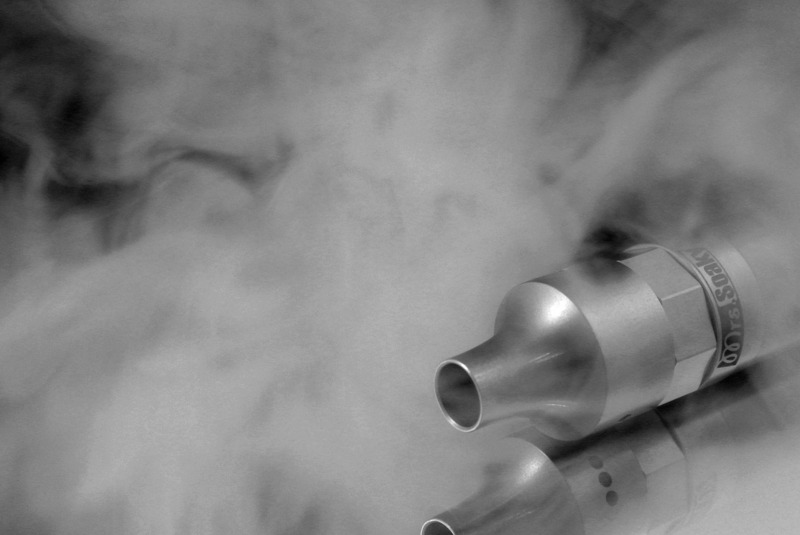 The requirement, in this case, is to form the coil and inhale directly the vapor produced. The atomizer gives intense flavor and incredible volumes of smoke vapor. With some practice, you can master how to build one to enjoy an awesome experience. There are also many different rebuildable atomizers you could try besides RDA. The RTA (rebuildable tank atomizers) is one of them, and these are very similar to drippers in the sense that you are required to build coils for your own use. They work with a pressurized tank system to channel the e-liquid into the vape coils to produce the flavor and vapor. You will find many other acronyms like RTDA (Rebuildable Dripping Tank Atomizer), RBA (Rebuildable atomizer), and GTA (Genesis Tank Atomizer) in vaping. These are essentially different types of a tank or dripper, mostly without pressurized vacuum. The RBA is the section of the device that can be rebuilt, and with many tanks, you will be allowed to choose between pre-made vape coils and an RBA. Genesis tank atomizers are customizable and offer excellent vapor production. These are also re-wickable. With the above comparison, you should understand what an atomizer does. This information is necessary as it helps you to make the right decision in buying a vaporizer. You can choose a vaporizer that gives you the flexibility to choose. You would have to find that suitable vaporizer depending on the throat hit you want. Also, the atomizer controls the vapor produced. This is why it’s important to consider choosing one that would be customizable to give you the results you expect. Why Your Lifestyle Might Not Be Ready For The Future Today What We Will Eat: 8 Products of the Future that Will Feed the World Tubor Domino Spacesuits of the Future What Does the Future Hold for Mobile Gaming? What Does A Penetration Testing Company Actually Do?